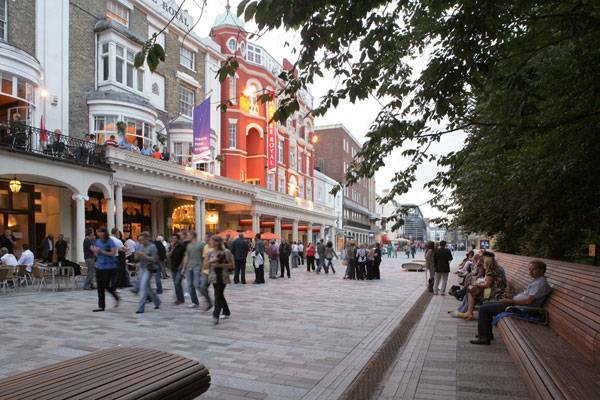 The design of New Road in Brighton by Gehl Architects contributed to a 93% decrease in traffic and 62% increase in pedestrians. As opposed to architecture which focuses on the design of individual buildings, urban design deals with designing and shaping groups of buildings, at a larger scale. Through the Master Plan, an integrated urban design approach will shape what it will be like to live, work, rest and play in the future Waterloo. Urban Design is an inter-disciplinary subject that uses elements from many other disciplines but the bottom line is quite simple. It’s about making places and spaces that are nice for everyone to use and sustainable. It can be hard to notice sometimes what makes a place in the city better than another. We do not necessarily consciously avoid certain spots or go to others because the way they are designed and yet it influences us. Designing spaces for certain purposes and uses is called Place-making. As part of Waterloo redevelopment, there will be a special place-making technical study, and place-making should integrate elements from community consultations. When you understand a little bit more about urban design, it becomes easier to express what you want and why you want it. When you speak the language of designers, pushing for specific elements to be integrated in the design of the future places is much more simple. For example, many people would like to encourage safer cycling and limit conflicts between people on bicycles, pedestrians, and cars, but this might mean different things for different people. If you know about continuous separated cycle ways and if you believe that they are the best way to achieve this, you can campaign for one of them instead (or against it if you prefer to give priority to motor vehicles). This makes it clearer for all involved. 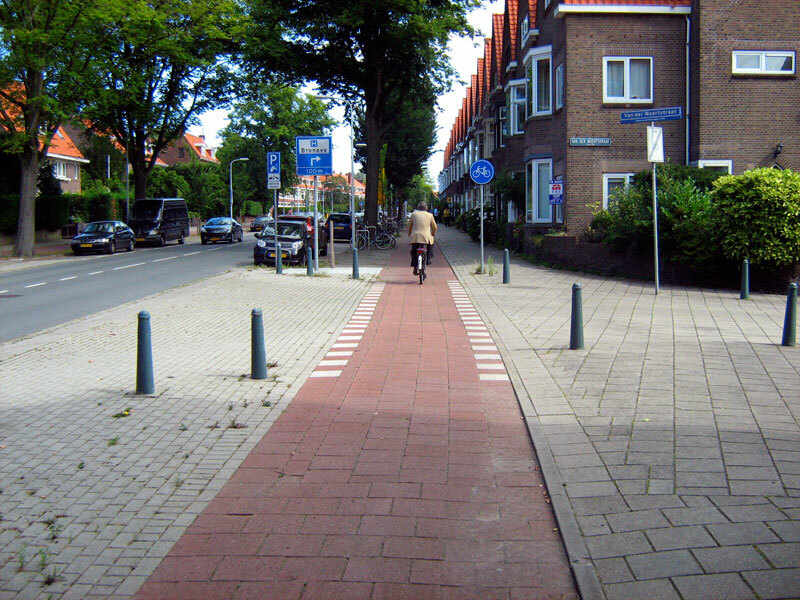 A separated cycle way reduces conflict between cars, people on bikes, and pedestrian. Continuity helps to separate between different spaces, and signals to cars that they have to give way on top of road rules. Interested in knowing a bit more about urban design? The resources below are a good start. Book donated by Inner Sydney Voice for Waterloo residents available at Future Planning Centre, Resources Section. Did you know that not only the way cities are designed impacts on behaviours and the way we move around, but also on our social interactions and how happy we are? This is what Charles Montgomery talks about in his book. The impact urban design has on our level of happiness is surprisingly high! Listen to Charles talk about the Happy City Experiment below! If you prefer to read, the articles below contain excerpts of the book or mention similar themes and concepts. These resources provide an excellent start to get familiar with urban design concepts and best practices. Do not hesitate to contact the Capacity Building worker if you would like more information about a precise area of urban design (cycling infrastructure, open space, place-making, etc. ).